Here we are, in late August. Summer is ripening and beginning to turn. Can the Autumn Meadowhawks be far off? I think the old name for these dragonflies – Yellow Legged Meadowhawks – was more accurate than the new common name – Autumn Meadowhawk. I mean, autumn is over a month away and here they are. And their legs are yellow. 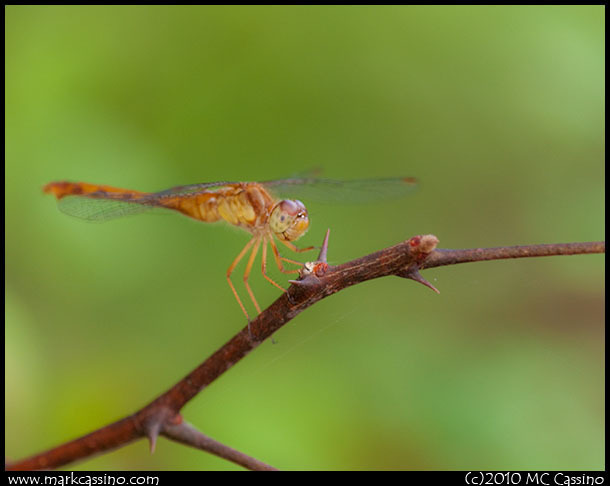 This entry was posted by mcc and is filed under Insect Photography, Allegan State Game Area, Allegan Forest, Dragonfly Photography, Odonata Photography, Macro Photography. 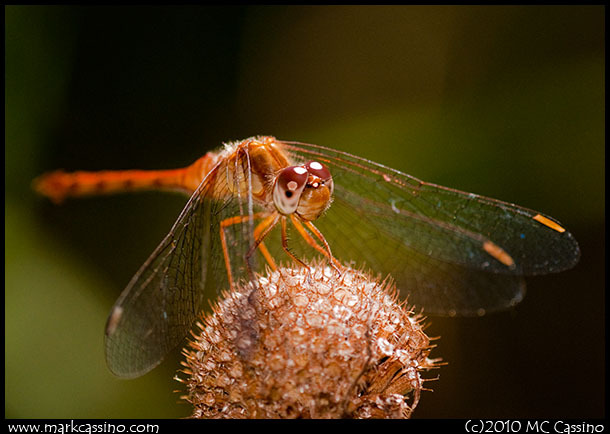 Love the photos of my favorite dragonflies. I live in RI and many years ago in late October I was sitting by one of my favorite dragonfly places. It was a cold day and so quiet compared to the riotous dancing acrobatics of summer. And I looked down and on my leg a lovely red meadowhawk.